The last thing we heard from the East St. Louis blues king Peetie Wheatstraw was a couple of swing-blues sides from the tail end of his career. Now, let us direct our attentions eight years earlier toward the beginning of his recorded legacy. 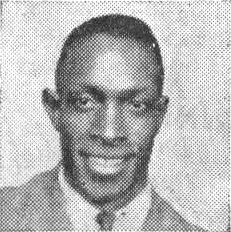 A cropped version of the only known photograph of Wheatstraw, pictured in Decca catalog. 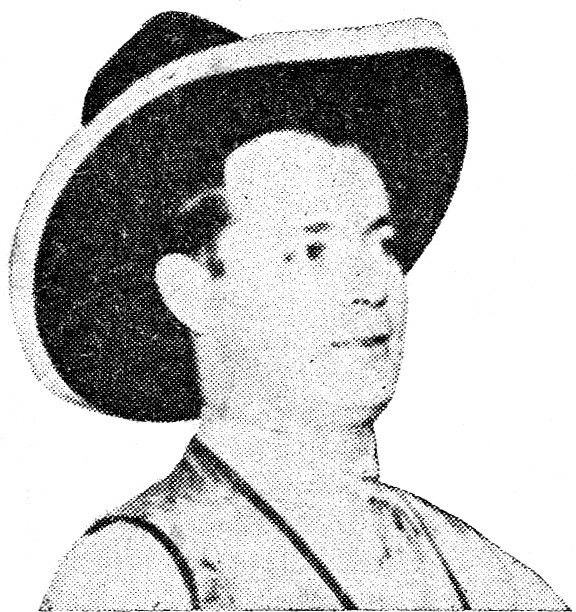 Though the only known photograph of William Bunch—better known as Peetie Wheatstraw—depicts him holding a National metal-bodied resonator guitar, the artist played piano on the overwhelming majority of his recordings, while guitar was provided by the likes of Charley Jordan, Kokomo Arnold, or Lonnie Johnson. Other times he played nothing at all, only singing and leaving his accompaniment solely to other musicians. But that depiction of Peetie was not entirely inaccurate; it is said that he started out his musical career on the guitar and learned to handle the instrument with proficiency, before switching to piano later on. 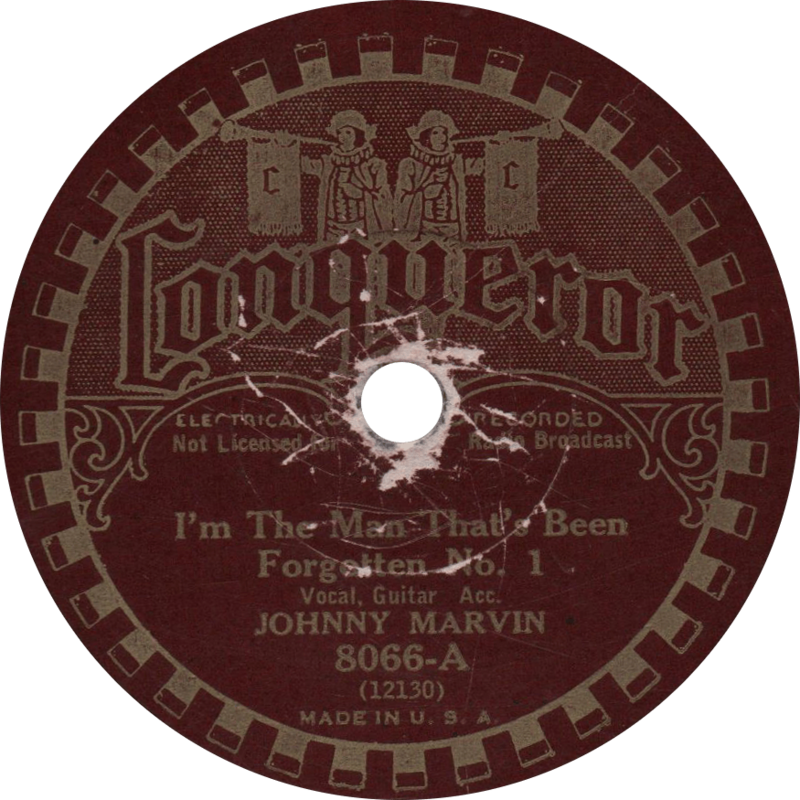 By the time he made his first records in 1930, he was primarily playing piano, developing a signature formula which he continued to use for the majority of his more than one-hundred-fifty sides. In 1932 however, Wheatstraw had a pair of stand-out sessions which departed from his standard formula. On a recording trip to New York City in March of 1932, Wheatstraw first played piano for Charley Jordan on a series of sides, then Peetie picked up the guitar himself, and, on March fifteenth and seventeenth, he laid down four blues songs unlike any other that he recorded: “Police Station Blues”—later echoed by Robert Johnson in his “Terraplane Blues”—and “All Alone Blues” on the former day, and “Can’t See Blues” and “Sleepless Nights’ Blues” on the latter. Afterward, he returned home to East St. Louis, and didn’t cut another record for two years, by which time he had settled into his formula, and never touched a guitar again, at least on records. 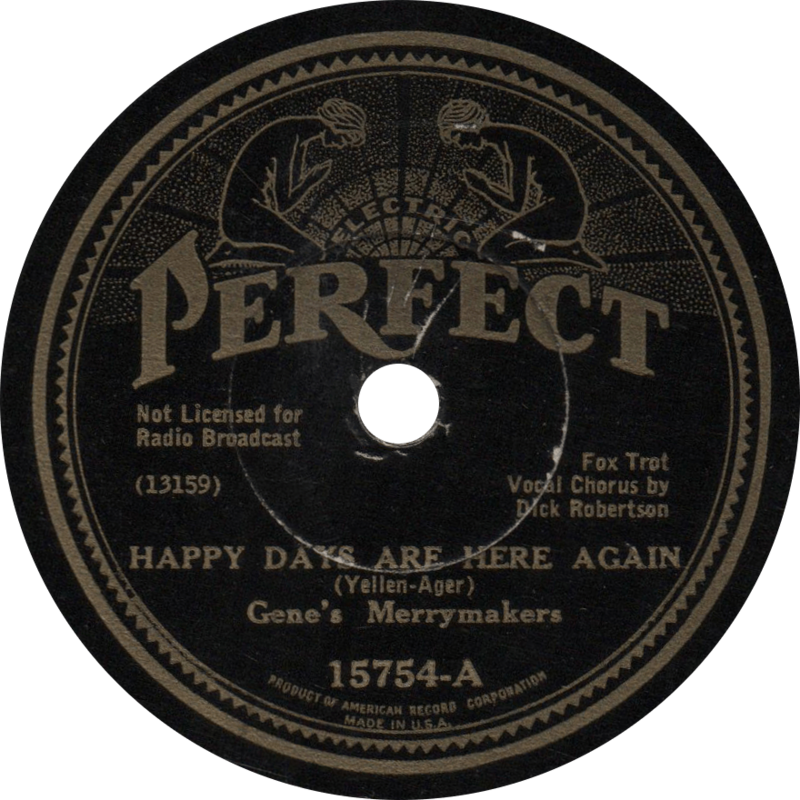 Vocalion 1727 was recorded on March 15, 1932 in New York City. Peetie Wheatstraw sings and plays guitar on both sides. 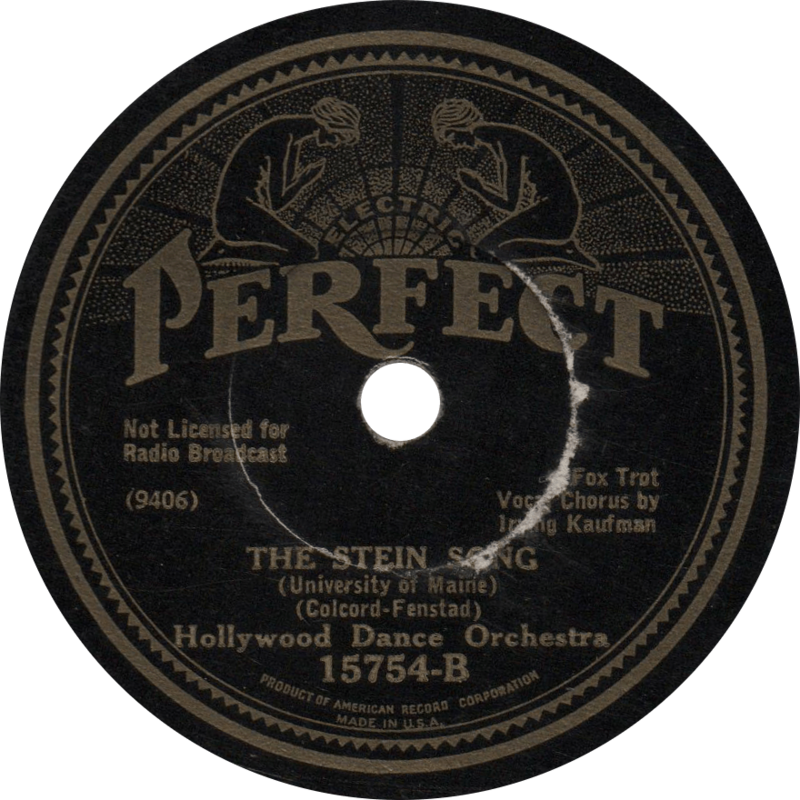 Both sides were also reissued around 1938 to ’39, each on separate records, with the first side appearing on Vocalion 04592 and the second on Vocalion 04912. First, despite whatever technical limitations Peetie may have had, he dishes out a wonderful performance on “Sleepless Nights’ Blues”, a great classic of equal or perhaps greater merit than his more popular “Police Station”, earning its way into the Yazoo compilation St. Louis Blues 1929-1935, The Depression. 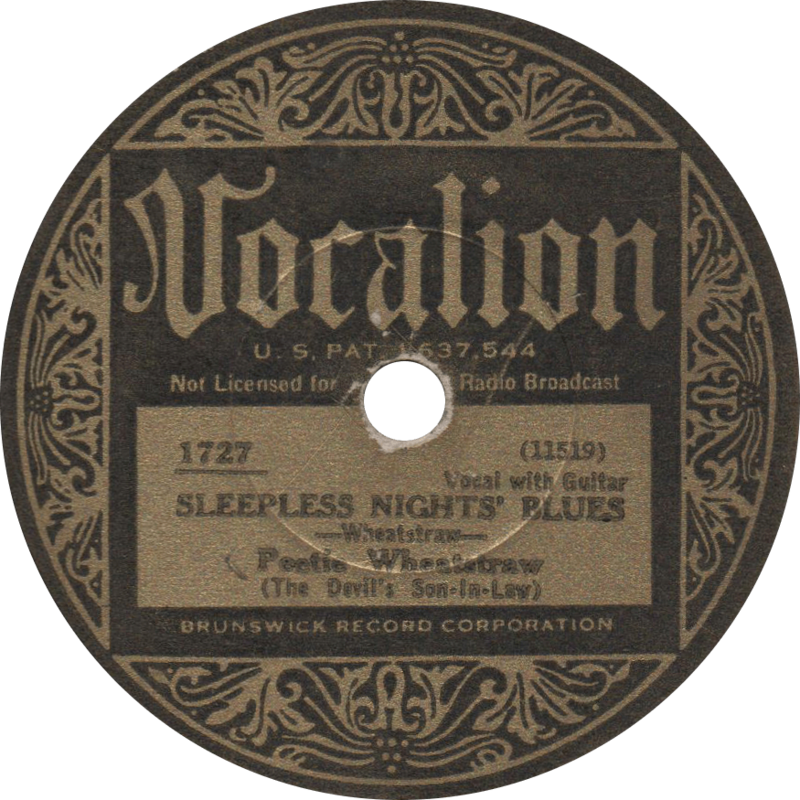 Sleepless Nights’ Blues, recorded March 15, 1932 by Peetie Wheatstraw (The Devil’s Son-in-Law). 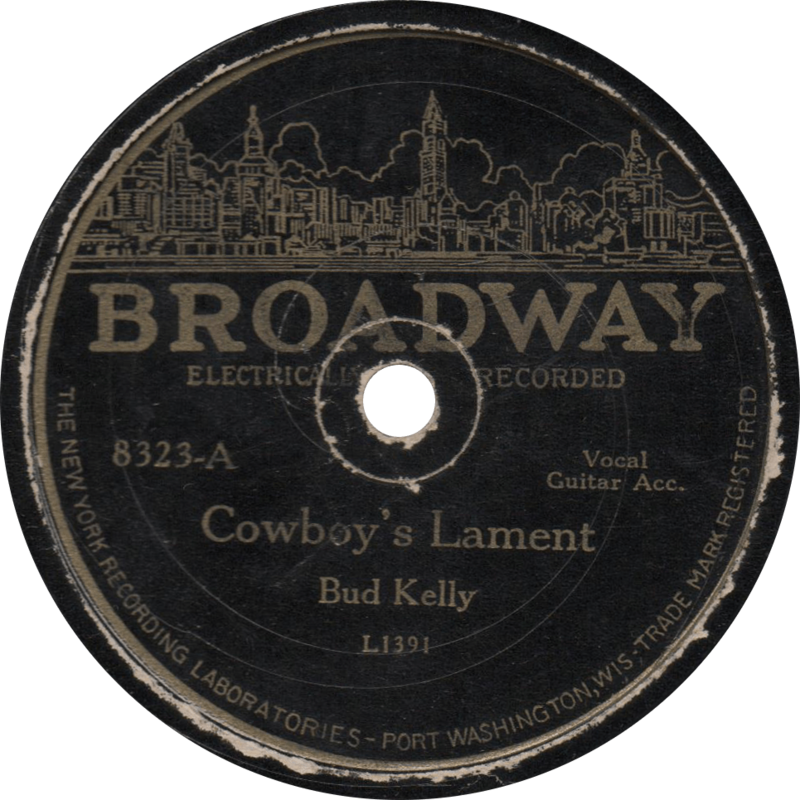 Reusing many of the licks heard on the previous side (though actually vice-versa, since this one was recorded earlier), Wheatstraw next sings “Can’t See Blues”. Like his piano playing, Wheatstraw had a very idiosyncratic style of playing guitar (which is to say, he typically followed a very similar pattern in all of the songs he played). 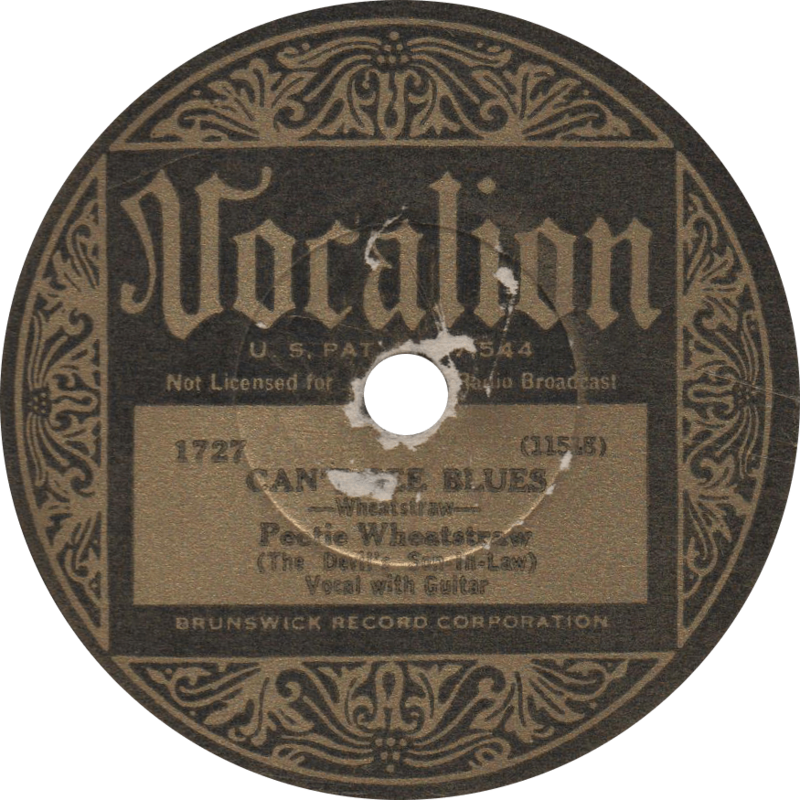 Can’t See Blues, recorded March 15, 1932 by Peetie Wheatstraw (The Devil’s Son-in-Law). One of the major hillbilly music powerhouses of the 1930s was Bob Miller—much like his contemporary Carson Robison, he was equal parts a songwriter, publisher, and musician, as well as an A&R man on the side. Though well known throughout the Depression years for his hit songs and “hillbilly heartthrobs,” including such mainstays as “Twenty-One Years” and “Seven Years (With the Wrong Woman)”, and numerous topical songs such as “Eleven Cent Cotton (and Forty Cent Meat)”, Miller has faded into practical obscurity today. Bob Miller was born on September 20, 1895 in Memphis, Tennessee. He was brought up a musician, and was playing piano professionally by the age of ten. He later graduated to playing on Mississippi steamboats, before heading to New York to work for Irving Berlin as an arranger and copyist. 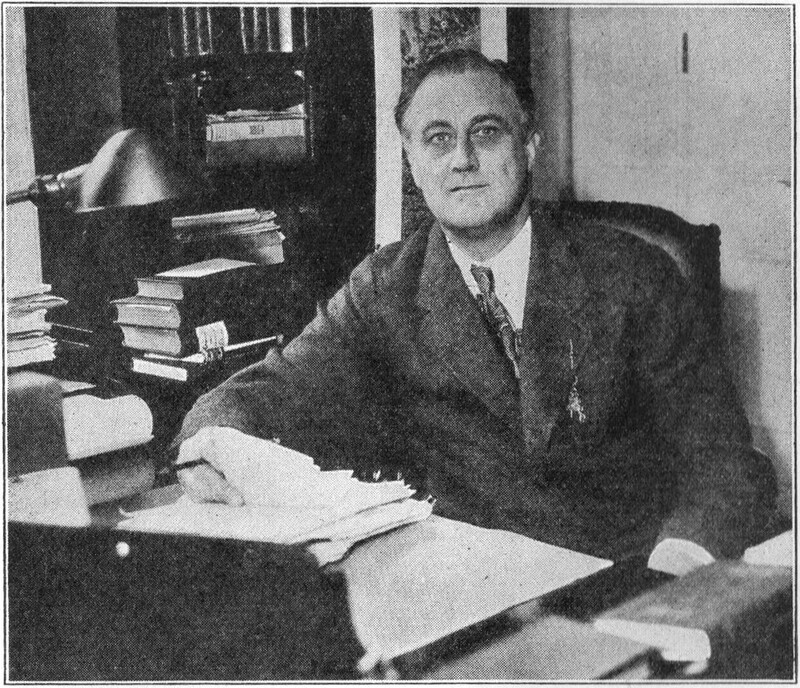 In 1931, he published “Twenty-One Years”, which would become one of the biggest hillbilly song hits of the decade. The following year, his “Seven Years (With the Wrong Woman)” was met with the same success. Both songs inspired Miller to write numerous “answer” songs, such as “The Answer to 21 Years” and “Seven Years With the Wrong Man”. In addition to songwriting, Miller recorded many of his own compositions with small “citybilly” groups for various record companies, including Victor, Champion (i.e. Gennett), and Grey Gull’s many labels. 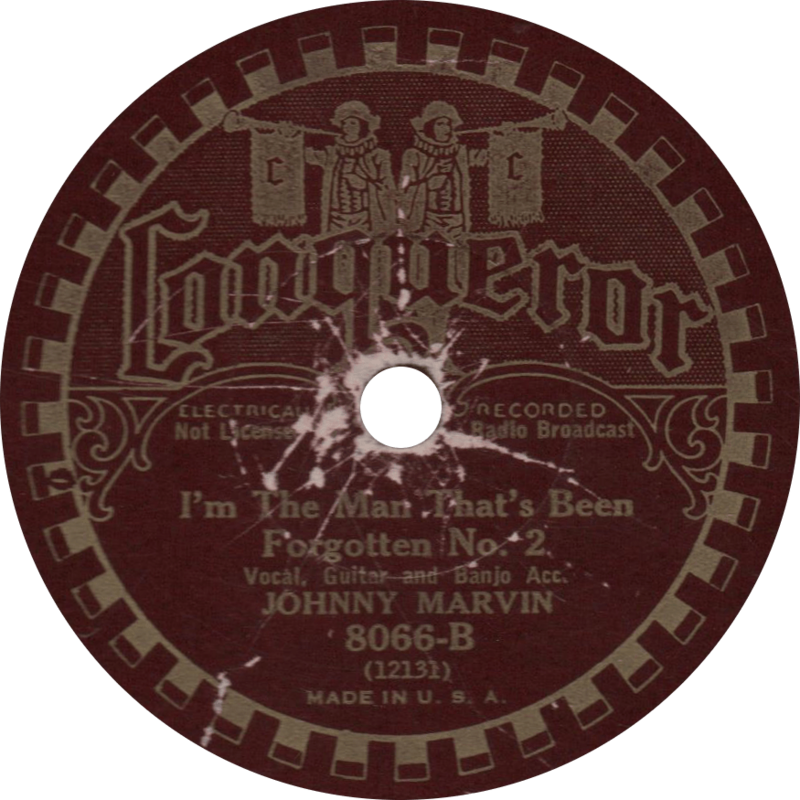 In 1933, with already a large number of credits to his name, Miller founded his own music publishing company, Bob Miller Inc. With more than a thousand copyrights to his name, to attempt to list the song hits written by Miller would make for nothing but a mess of text consisting of title after title. His patriotic “There’s a Star Spangled Banner Waving Somewhere” (published under the pseudonym “Shelby Darnell”) became a wartime hit when it was recorded by Elton Britt in 1942. Bob Miller died on August 26, 1955 in New York City. 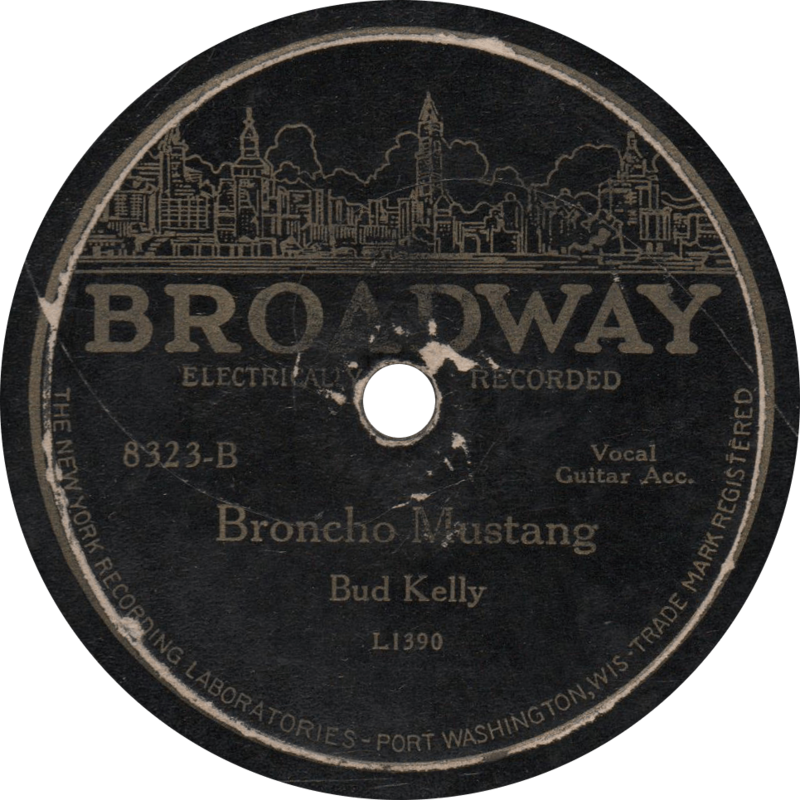 Electradisk 1919 was recorded November 3, 1932 in RCA’s Studio 1 in New York City by Bob Miller’s Trio as “Bill Palmer’s Trio” and was issued in April of 1933. It was later issued on Bluebird B-5034, Sunrise S-3132, and—with the sides split up—on Montgomery Ward M-4232 and M-4401. The ensemble consists of Bob Miller on piano and singing, Barney Burnett on banjo and second vocal, and A. Sirillo on guitar. Seldom do you see these Electradisks—one of RCA Victor’s early budget labels, sold at Woolworth’s—at all, and it’s even less often that you see material other than the typical dance band pop. One of the hillbilly hits of the 1930s was Miller’s “Seven Years (With the Wrong Woman)”, and was covered by artists ranging from Cliff Carlisle to Jack Payne’s Dance Orchestra. It was “answered” by such songs as “Seven Years with the Wrong Man” and “Seven Beers with the Wrong Woman”. 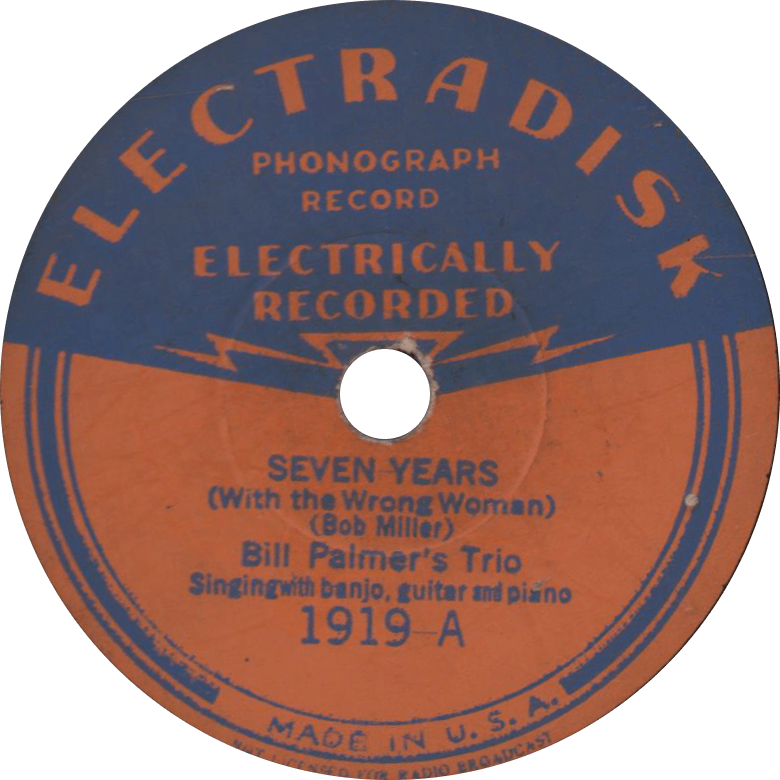 Seven Years (With the Wrong Woman), recorded November 3, 1932 by Bill Palmer’s Trio. 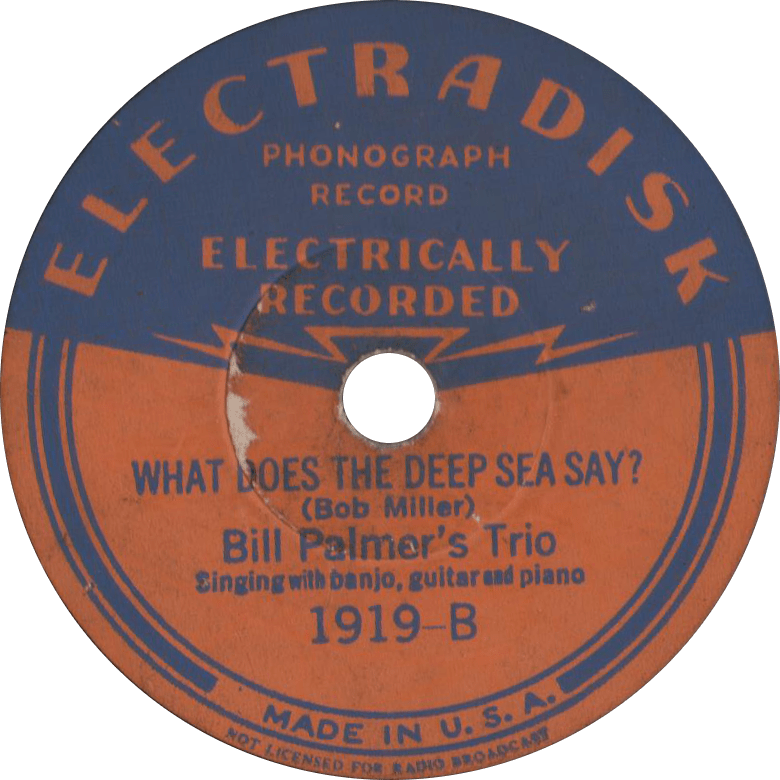 What Does the Deep Sea Say?, recorded November 3, 1932 by Bill Palmer’s Trio.